Visualization software / graphic / design / data management - GraphWorX™64 - ICONICS, Inc.
Robotics - Automation - Industrial IT > Industrial Software > Design software > ICONICS, Inc.
GraphWorX™64 has designed 2D and 3D vector based graphics. It has rich HMI and SCADA data visualization tool to build spontaneous graphics that depict real world destinations and integrated TrendWorX64 viewers and AlarmWorX64 to give a full picture of operations. The GraphWorX64 makes the configuration of all projects quick and easy. The contents can be reused with the help of the GraphWorX64 symbol library, temperate and galleries. You can also use default settings to allow the objects to draw the carbon copies of each styling. You will be able to create rich and immersive displays with three dimensions. You can create a 3D world with the WPF (Windows Presentation Foundation) and get the view of your assets from true 360 degree angle. 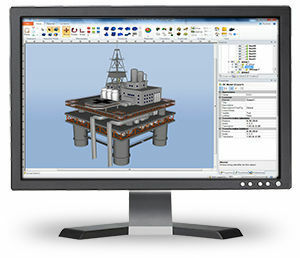 The unit has both 2D and 3D features with the help of WPF and annotations that move with the 3D objects and create a 2D display to overlay the 3D scene. 2D vector graphics can be utilized to give true life depictions of your operations and view them on the web via WPF. You can get advantages of the ribbon menus available just like Microsoft Office.